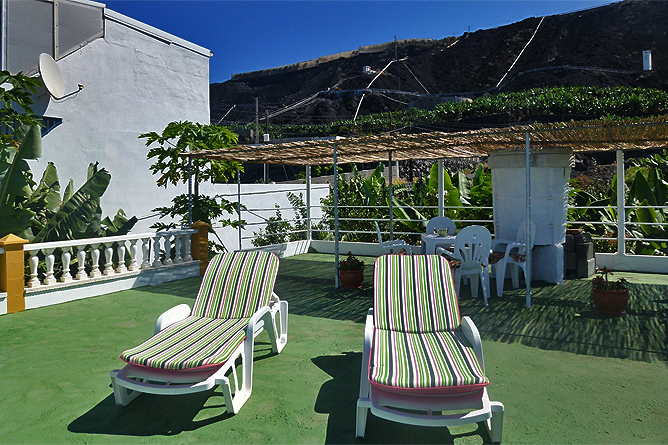 The roof terrace provides a stunning panoramic view of Puerto Naos and La Bombilla with its small fishing boats. 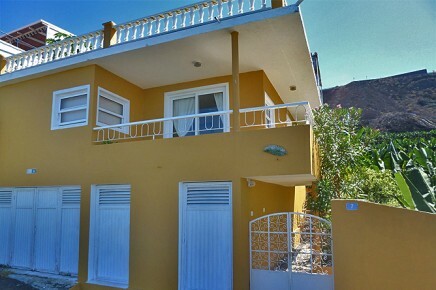 It is a perfect Holiday House for all those, who prefer to spend their holidays close to the sea but away from the hustle of Puerto Naos. 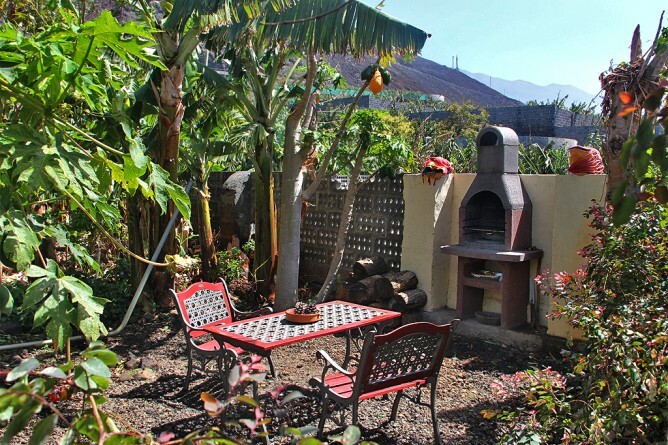 Casa Banana offers the possibility to spend quiet holidays near the beach. 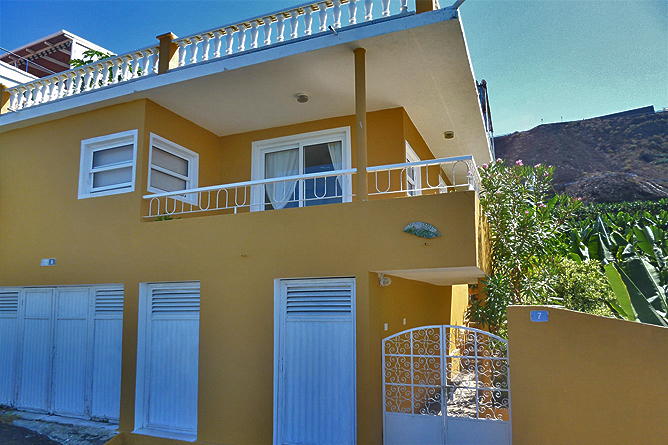 Playa Los Guirres is only a 15 minutes' walking distance from the Holiday Home. 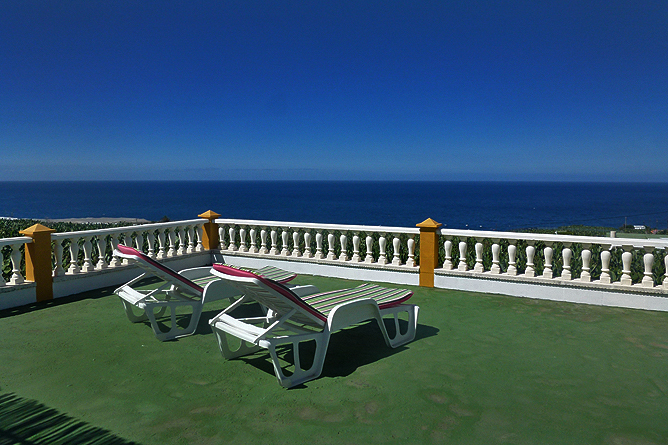 The small beach of La Bombilla is also within short reach. The Holiday House has been lovingly furnished and decorated by the landlady. 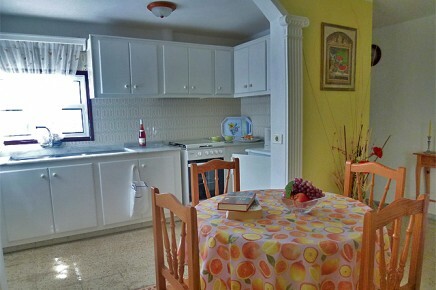 The entrance area is a well equipped kitchen and dining area. 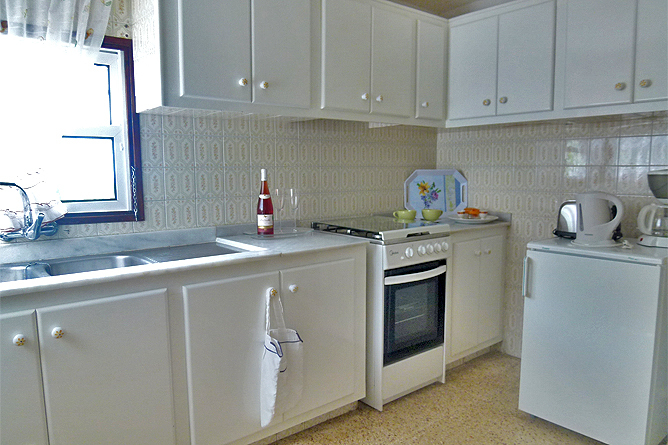 The kitchenette is well equipped with plenty of storage space and a 4-burner gas stove as well as an oven and a refrigerator along with common electrical kitchen appliances. 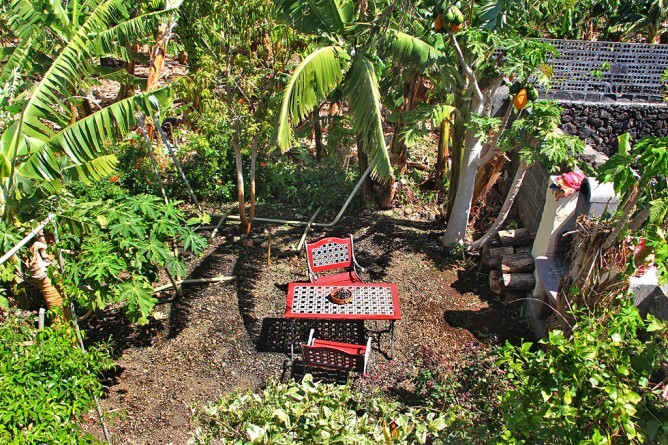 The dining area offers a direct access to the garden. 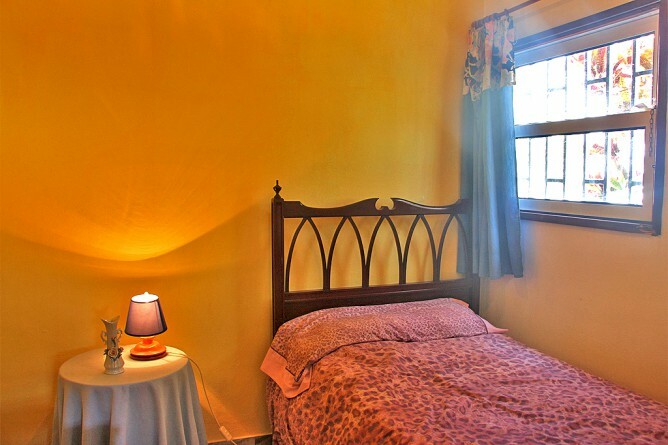 Next to the entrance there is a small single bedroom with a garden view. 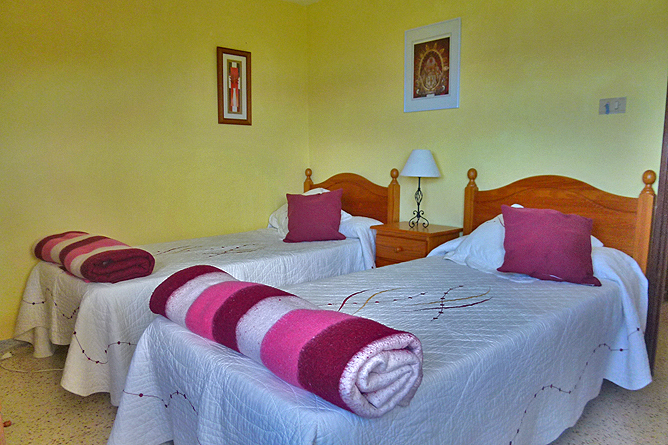 The double bed room has 2 single beds and offers a great sea view. 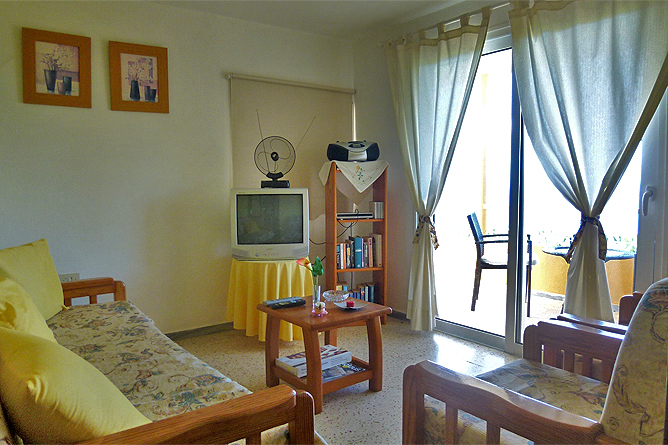 The separate living room has a sofa and 2 armchairs as well as a television (with German programs) and a small stereo system. French doors provide access to the roofed terrace. 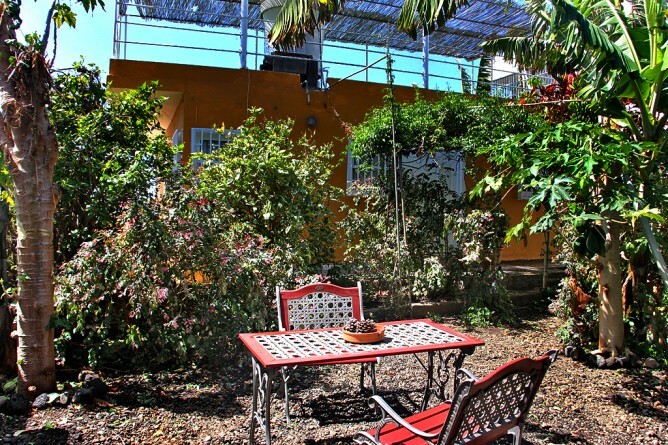 The terrace is furnished with a small table and 2 wicker chairs. 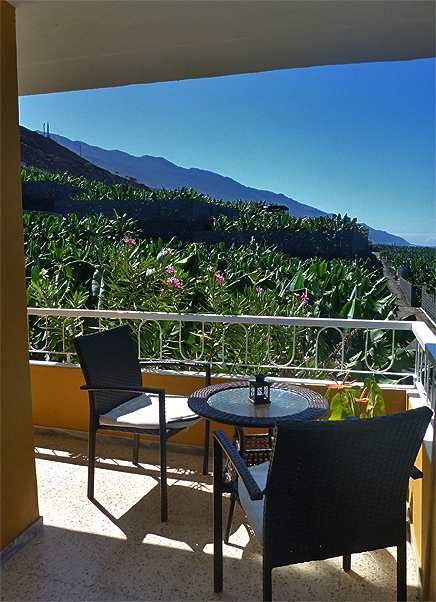 It is a great place to enjoy breakfast, read a book or simply enjoy peace and tranquillity. Rustling banana palm leaves in the wind provide a natural soundscape. 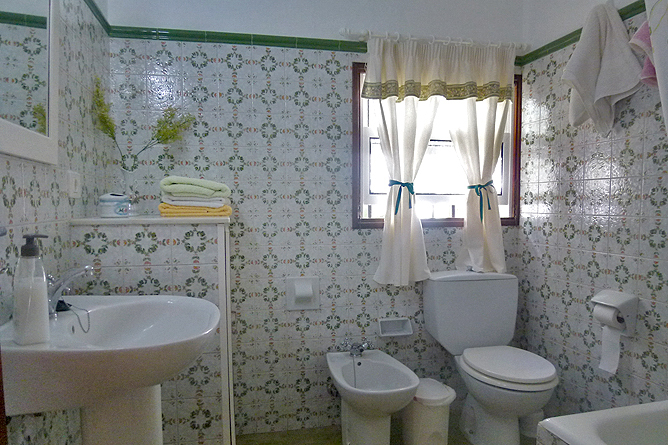 The bathroom was completely renovated. 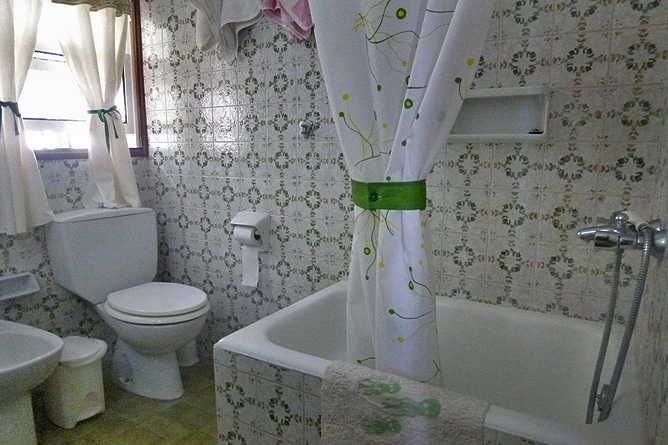 It features a small shower bath, a basin, a bidet and a toilet. 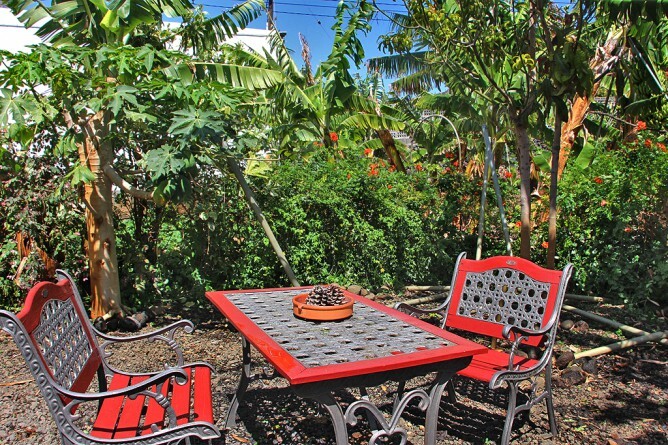 The garden, right in front of the Holiday House has a small, cosy area with a large wooden table and two benches. 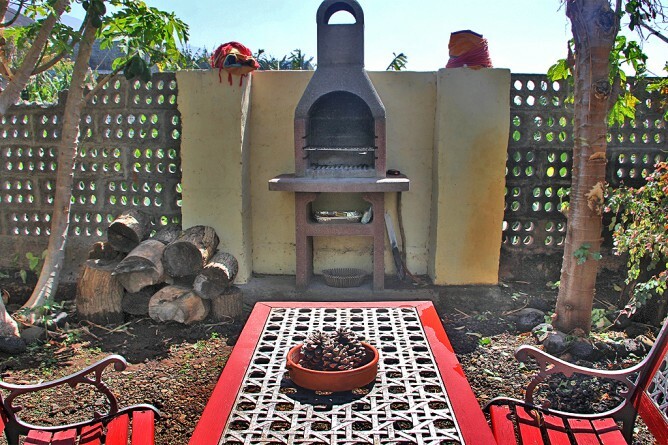 It is a perfect place to prepare your barbecue for lunch or dinner. 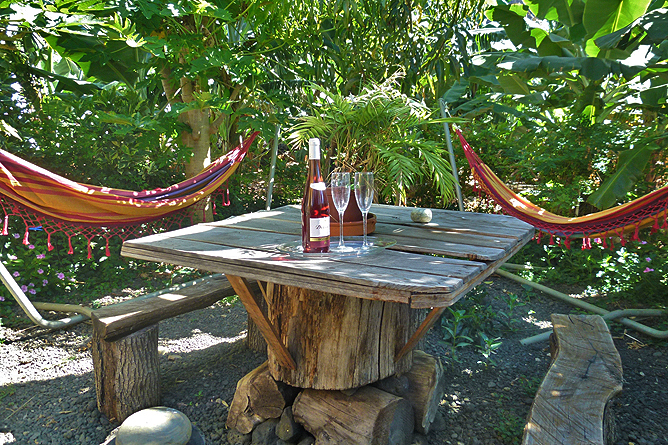 Two hammocks in the shade invite you for having a siesta. 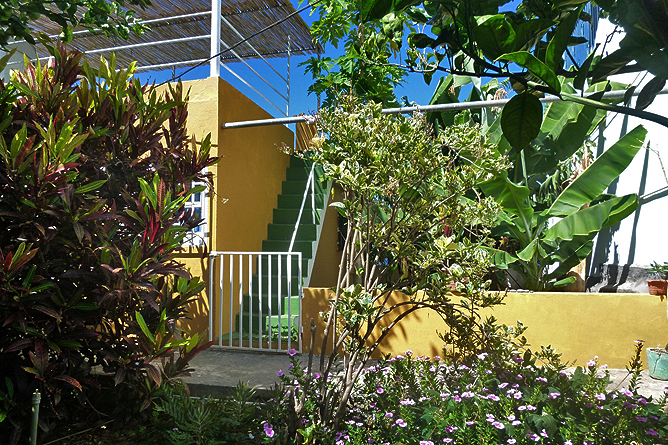 An external staircase provides access to the roof terrace. The small Pergola is a nice, shady place to linger. It is furnished with a table and 4 chairs. There are also 2 sun loungers with cushions available. 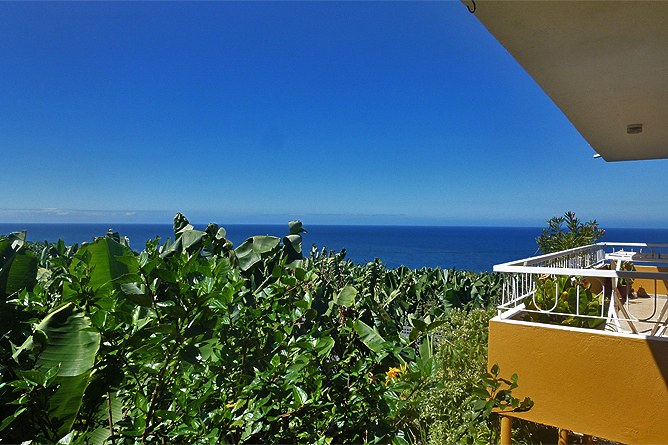 While having your sunbath you enjoy a gorgeous view to the sea and the mountains in the outback. 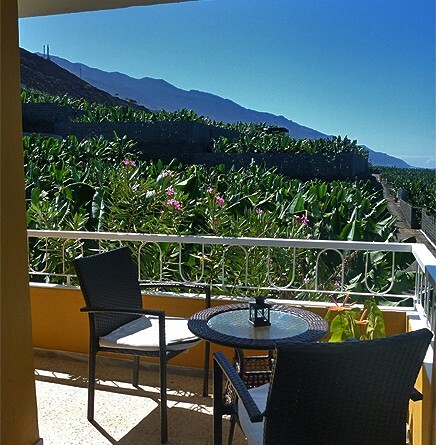 Casa Banana is surrounded by banana plantations and is located above La Bombilla, in a very sunny climate zone. 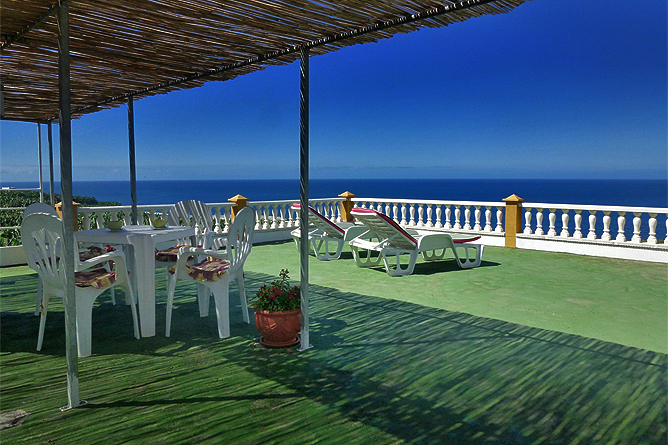 La Bombilla is an original fishing village with simple weekend homes and residential buildings. The place is very authentic and has its own unique charm. The closest beach is Playa Los Guirres, which is mainly popular among the local people. It is a partially sandy and pebbled beach and a tranquil place, even during high season. 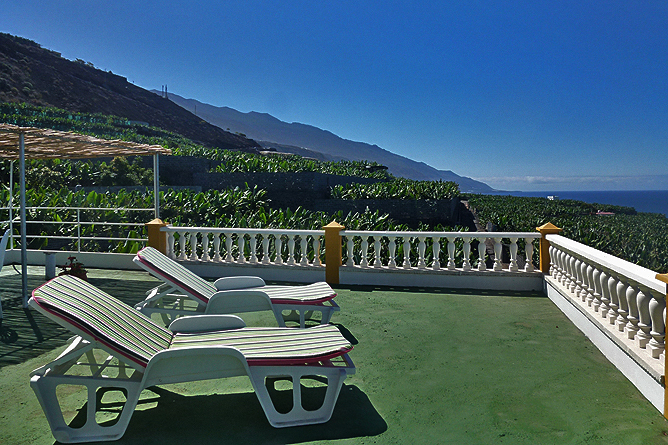 At the kiosk you can watch the sea and enjoy delicious Tapas and typical dishes of La Palma. It is a particular great place in the evening at sunset. There is a nice walkway along the beach towards the light house. 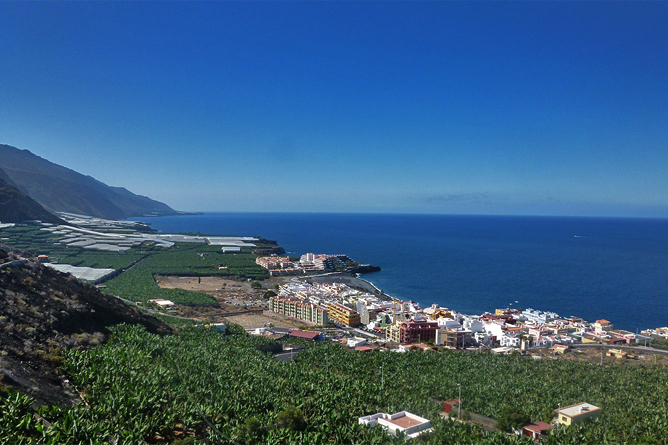 The centre of Puerto Naos is only a 20 minutes' walking distance from Casa Banana (5 minutes by car). Besides the new designed beach promenade, Puerto Naos offers many nice restaurants and shops as well as a wide lava sandy beach with palm trees. 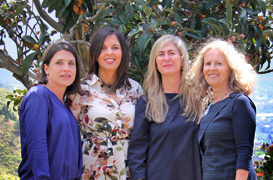 Sport enthusiasts find lots of activities here like hiking or biking, paragliding or diving. 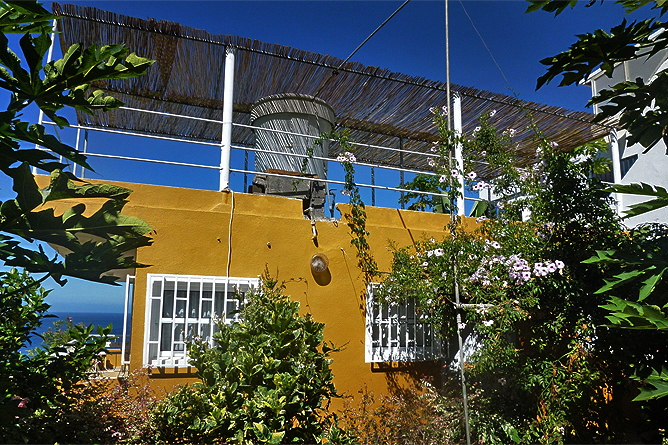 Friendly Holiday House with Garden and Roof Terrace by the Sea.